A graduate of Auburndale High School in 1967, Ed Brown served as a U.S. Army infantryman in Korea in 1969. 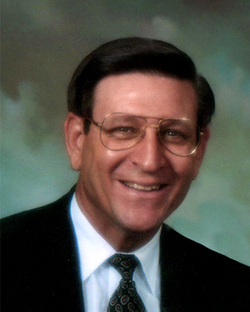 Ed studied at Florida Baptist College where he received a Bachelor of Arts in 1976. Ed later earned a Master of Arts in Theology in 2001 and a Doctor of Ministries in Theology in 2002 fro the Landmark Theological Seminary. Over the past 44 years Ed has pastored churches in Florida, Germany and Australia and served in various roles at Floirda Baptist College (now Emmaus Baptist Colege in Brandon, Florida). He has served as faculty member, Trustee, Vice-President and Interim President. His pastorates include: First Missionary, Bell, Florida; Ardella Baptist Church, Lakeland, Florida; Bay Lake Baptist Church, Groveland, Florida; Central Baptist Church, Lithia, Florida and Tuscanooga Baptist Church, Groveland, Florida. Ed and Dr. Joe Morell have worked together over the past ten (10) years in Bible School Consulting and education projects on various fields over the world. He is sent out by the Sherwood Hills Baptist Church of Campbelltown, NSW, Australia to serve churches throughout Australia and the South Pacific primarily (but now exclusively) in Bible Education and Training.